Sony Pictures has released the first look photos for director Elizabeth Banks’ upcoming Charlie’s Angels, teasing the group chemistry between the badass trio. Also featuring our first look at Noah Centineo’s character, you can check out the full photos below. “If you were rich in 1976, you only got richer. Charles Townsend is richer than ever, so he’s grown the business into a global spy agency.” Banks told EW. 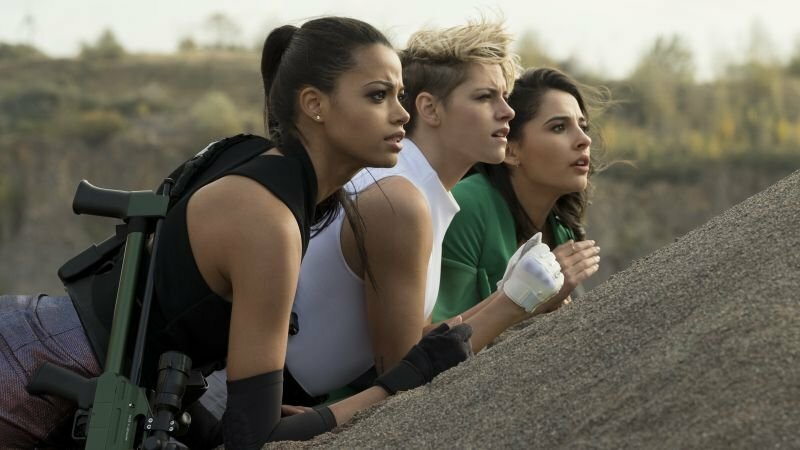 The new Charlie’s Angels film will star Kristen Stewart (Personal Shopper), Naomi Scott (Power Rangers) and Ella Balinska (Casualty) as the film’s titular trio. Doug Miro and Carlo Bernard (writers and producers for the Netflix series Narcos) co-wrote the script for the film. The cast also includes breakout star Noah Centineo (To All the Boys I’ve Loved Before), Jonathan Tucker (Westworld), Sam Claflin (Adrift) as well as Patrick Stewart, Djimon Hounsou, and Banks who are all reportedly playing the role of “Bosley” in the project. How that will work remains to be seen. The film will be produced by Banks and Max Handelman via their Brownstone production company along with Elizabeth Cantillon and Doug Belgrad who is co-financing through his 2.0 Entertainment banner. Andrea Giannetti will oversee the film for Sony. Charlie’s Angels is set to make its debut on November 15.